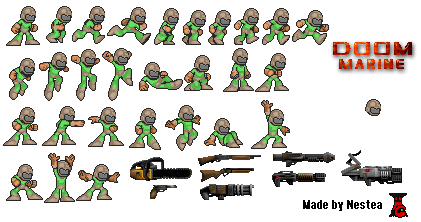 A little DOOM sprite for you to check out. What did you expect? A sprite WAD for DOOM? 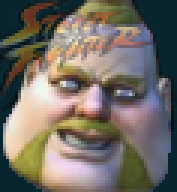 It would be kind of cool to have a whole wad that replaced all of the enemies in Doom with their goofier looking counterparts, but that's just my opinion. GAK! Caught. Well, I credited you for the sprite, so I claimed no part it it's creation. If I knew you wanted me to tell you, I would. Sorry man.